Hamilton offers many natural and man-made diversions for the leisure traveler. Discover Hamilton’s natural outdoor beauty and explore it’s over 100 waterfalls that create a breathtaking backdrop for hiking, cycling or simply enjoying a summer day. Explore the many things to do in Hamilton, attend a conference, a world class concert, or sporting event and find comfort, convenience and value at RCC – Hamilton. For more information regarding these great Hamilton attractions and to check out what’s happening in Hamilton please visit Tourism Hamilton! 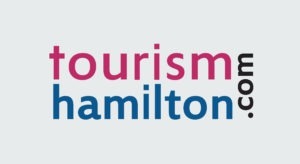 The Tourism Hamilton Visitor Centre is located in the heart of the city at 28 James Street North and open Monday through Friday 9AM-4PM and Saturday & Sunday 11AM-3PM. This interactive space is a great resource to book activities and tours during your stay in Hamilton!